In less than ten weeks, Dr Kandeh Yumkella will be leaving the United Nations to return to his native Sierra Leone, to help the country in its post-Ebola recovery. This is certainly going to be a national challenge for which, president Koroma will be requiring all hands on deck to succeed – no matter the political complexion. Already, the farewell parade began at the prestigious United Nations General Assembly (UNGA), during the 2nd Annual Sustainable Energy for All Forum, bringing to a close an illustrious career on the global stage that spanned almost two decades. The annual forum which was launched by Yumkella last year, convened in New York from May 18-21, with over 2500 registered participants – including heads of UN agencies, over 100 government ministers, CEOs, and other high-level dignitaries. Among the many highlights were the Nigerian Billionaire Tony Elumelu, John Podesta (chair of the Obama transition team and now chair of the 2016 Hillary Clinton Presidential Campaign), and the pop icon Akon, among others. Following the announcement by Deputy UN Secretary-General of Yumkella’s departure, Yumkella has received numerous requests to act as keynote speaker and to moderate several high-level events around the world. Various partner organisations from almost every region of the world have already booked Yumkella to deliver keynote speeches – almost every week for ten consecutive weeks – underscoring the respect that he has earned around the world. “Given the people he works and mingles with on a daily basis all over the globe, one is not surprised,” a participant remarked at one of the events. 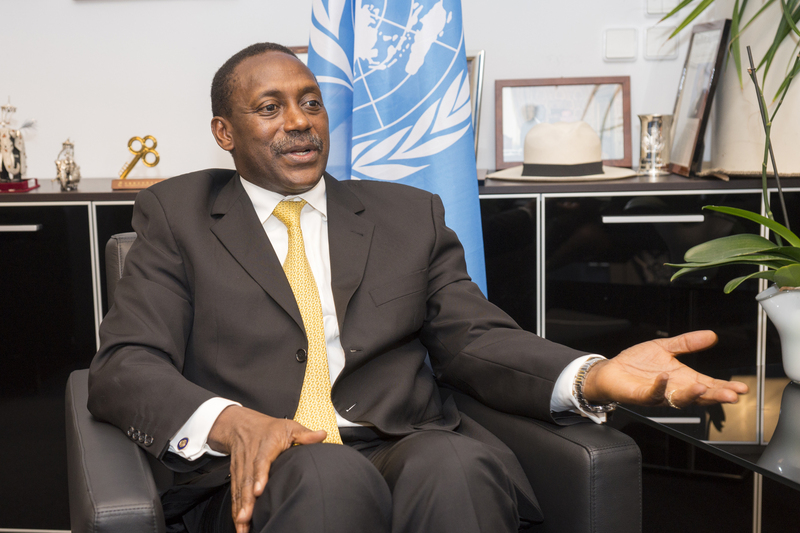 His colleagues around the world are finding it hard to believe that Yumkella is leaving the comforts of a prestigious UN job, especially retiring six years ahead of the required retirement age. Friends and colleagues who know him well are not surprised. For Yumkella, it is not about comfort. It is about making a difference in people’s lives. By all measures, this is a huge sacrifice that many will not be making lightly – least of all Dr. Yumkella, knowing the potential retirement package that awaits him, during retirement. Immediately after the Forum, which took place on May 26, 2015, Yumkella delivered a public lecture in Copenhagen. The following day, he also delivered a keynote speech at the World Petroleum Council Leadership Conference in Tromso Norway, and is scheduled for an appearance at the Ministry of Foreign Affairs in Rome, Italy. Among the many activities that he led at the Forum, Yumkella was particularly pleased about the special session on Scaling –Up Investment for Sustainable Energy in Africa. This event was held at the NASDAQ offices in New York. 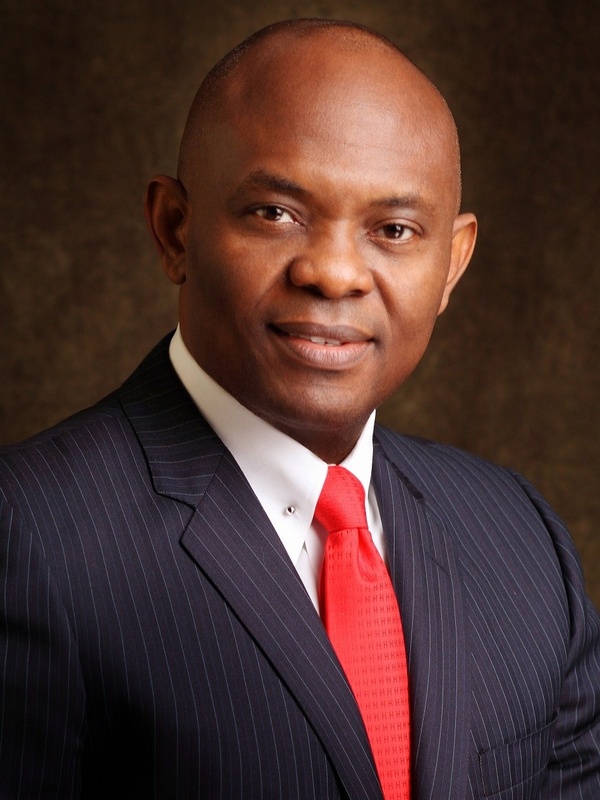 At that event, Yumkella was joined by billionaire – Tony Elumelu (Photo), Swedish Minister of International Development and Cooperation – Isabella Lövin, Sultan Ahmed Al Jaber – Minister of State and Chairman of MASDAR, UAE , as well as Andrew Herskowitz – Coordinator of President Obama’s Power Africa initiative – among several other notable personalities. On June 3-4 in Cape Town South Africa, Dr. Yumkella co-hosted along with Power Africa and the Tony Blair Africa Governance Initiative and NEPAD – a special session at the World Economic Forum Africa – The Africa Power Vision: Unlocking Project Bottlenecks. On June 10, he will act as keynote speaker at the prestigious London-based 2015 Ashden Awards for the second time. From June 19-21, The Vienna Energy Forum (VEF) will be convened. When Dr. Yumkella established the VEF in 2009, there were 400 participants. This has grown to 1500 registered participants this year so far. Although Yumkella has received many awards, the Sierra Leone Telegraph is reliably informed that several more are in the pipeline, including one conferred recently in Washington, DC, where he was named the first Chair of the newly launched Alliances for Energy Productivity http://www.ase.org/blog/global-alliance-energy-productivity-takes-energy-2030-goal-internationally. Next, will be the award of Visiting Policy Scholar at the International Institute for Applied Systems Analysis. This will be announced soon. Having devoted 30 years developing and nurturing his professional expertise and international reputation, Dr. Yumkella’s services will soon be needed by various global institutions. Hence, it is expected that he will continue to serve as strategic adviser to a number of global initiatives and institutions. 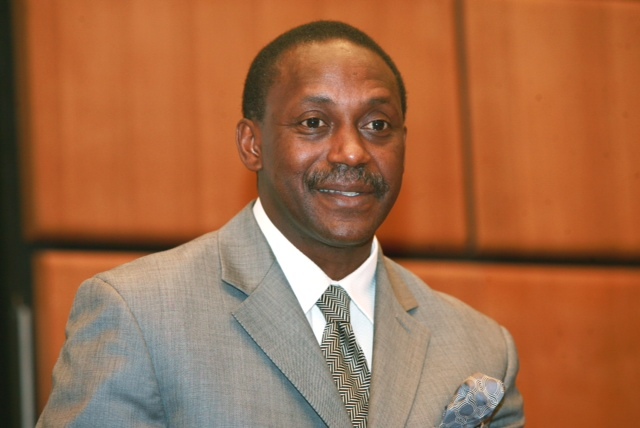 Yumkella’s legacy in the UN will not necessarily be celebrated simply for his work at UNIDO, but rather his incredible leadership in creating the global SE4All Movement. The SE4All Movement now has over 2000 NGOs, over 120 countries partners, 8 regional thematic hubs, a financing plan to mobilize $120 billion per year, a gas flaring reduction coalition of major oil companies to end routine gas flaring, and the inclusion of Sustainable Development Goal #7 in the post-20 development agenda. Coupled with his passion for the transformation of Africa, Yumkella has also created the Africa Energy Leaders Group. The West Africa Energy Leaders Group will meet in Cote d’Ivoire on June 30th, 2015 under the patronage of president Alassane Ouattara. I can hardly wait for Dr Yumkella’s candidature to be formally declared and campaigning to begin. We need change and need it NOW. It is high time we put behind us the politics of patronage and the nefarious characters who masquerade themselves as politicians. These people are killing the hopes, dreams and lives of ordinary men, women and children. Sierra Leone can be a fantastic place to live, but we mus all determine to make a significant shift in our attitudes if Dr Yumkella is to succeed. He cannot achieve this on his own. He needs decent men and women to stand shoulder to shoulder to him. As Kandeh is likely to declare for the SLPP, my plea to this party is to put Sierra Leone above the interest of the SLPP. We have observed Koroma playing politics with the position of Vice President in recent months and at a critical time when he should be directing efforts towards Ebola and investigating the theft of Ebola funds.